Strawberry is a concoction of fresh and refreshing strawberry juices which can make anyone fall in love with it. Made with exceptional fruity undertones and an everlasting aroma, this flavour has a never-ending sweetness that is unbeatable. 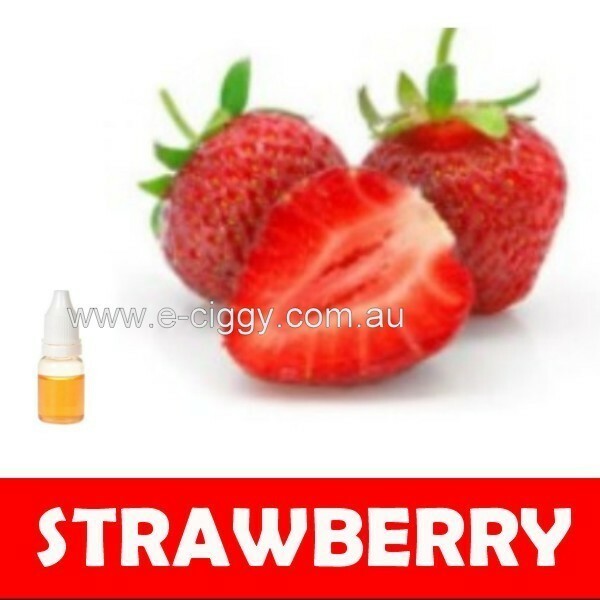 No one can deny loving this flavour because of its natural sweetness and powerful vape. Therefore, this strawberry flavour is a must try for everyone. E-liquids are what smokers add to operate electronic cigarettes. For typical smokers, they generally require around 30 to 40 ml of e-liquids a month. Drip method is an easy way to refill the cartomizers in electronic cigarettes. One would need to use a sharp object to remove the plastic cap on the top of the cartomizer. Some models discourage their users from refilling them, so the cap will be glued tightly. Some effort may be needed to remove the plastic cap and ring over the filler material. You are ready to drip e-liquids when you see the filling material around the centre whole of the cartomizer. Before this procedure, check the wicking material for brown burn marks. It is advisable to throw away the cartridge if there are burn marks because there will be an unpleasant taste no matter how much fresh e-liquid you pour in. Drip the e-liquids by holding the cartomizer at a slight angle. Drip onto the sides into the filler material rather than the centre of the cartridge. Spread the e-liquid slowly until it reaches saturation point. Stop the process once you see puddles forming on top of the filling material. Use a piece of paper towel to get rid of the excess e-liquids and the dripping method is complete. The push method is a good refilling technique for cartomizers that have plastic caps that are difficult to remove. It is recommended for them with automatic batteries because leaks may occur during the refill process, and there is no way to check the amount of e-liquids that have been absorbed by the filling material. You will require rubber covers that come on both ends of the cartomizers. Proceed to fill it with around ten drops of e-liquids and insert the cartomizer with the battery connector. This action will force the e-liquid up into the cartridge, and it will be eventually absorbed by the filling material through the centre wick. Wipe off the excess e-liquid with a paper towel if needed. Comment : It goes good with the strawberry cheesacake. Love it! Rating(s) and review(s) : Strawberry - Reviewed by : Melissa M - Rating 5 / 5 - It goes good with the strawberry cheesacake. Love it!